Ambitious New Immigration Targets But What About The Processing Time Issues? Even with 5,000 quota, we have not even heard much from 2014 or 2015 applications accepted, other than “you made to 5,000 quota”; which also took more than 5 to 7 months (for those made in 2014). Entry is important, but timely processing or processing time within reasonable timeframe seems to be considered carefully before accepting more applications that they may not be able to handle after all. 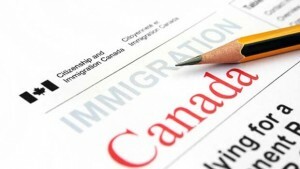 In 2011, due to a large backlog of applications, the federal government froze the immigration program that allowed Canadians and permanent residents to sponsor and bring their foreign parents and grandparents to Canada. When the program was reopened in 2014, the backlog had not yet been eliminated. As a result, the government limited the number of parent and grandparent applications it would accept to 5,000 per year. Because demand was so great, the 5,000 application quota was quickly met. The quota was met by February of 2014. In 2015, the quota was met by mid-January. In the last federal election, the Liberals announced they would double the quota of parents and grandparent applications to 10,000 per year. On Jan. 4, 2016, the immigration program will reopen again.